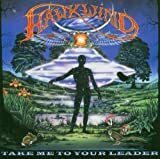 Hawkwind's latest was eagerly anticipated after a long and turbulent few years since the band's previous studio release. Most latter-day Hawkwind studio albums have been patchy affairs and now the euphoria has died down, Take Me To Your Leader proves to be much the same. The band that invented spacerock has long left full-on blanga behind, at least in the studio, in favour of a cold and rather sterile techno-rock hybrid that sometimes has psychedelic tendencies but only ventures into space on synth-based ambient pieces. .... opener, the old classic 'Spirit Of The Age' is rather splendid, generally an improvement on the original though not deviating much from the 1977 arrangement; Brock's 'To Love A Machine' enters Symphonic Prog territory and features some unexpected, but very welcome, acoustic guitar as well as tasty electric riffs; Arthur Brown's bouncy 'Sunray' is a brilliant Roxy Music thrash awash with crunchy guitars; and an infectious 'Angela Android', with an aptly loopy Lene Lovich adding vocals in her inimitable style to a pounding beat. These four tracks are undoubtedly bright stars in the Hawkwind post-spacerock firmament. Had the remainder been even close then this might have been a stunning album based around a theme of a mechanized future world. The reality is that, once again, a Hawkwind album fails to satisfy in its entirety. If you strip away the contributions of guest performers, you are left with a pretty average bunch of songs that don't stand the test of time. Overall - good, but they have done a lot better. After years of silence on the studio album front, does Take Me To Your Leader break the curse Hawkwind had seemingly been under Distant Horizons (or, depending on how hardline you are, maybe the Xenon Codex, or Levitation, or Warrior On the Edge of Time) where they simply couldn't manage to make a studio album worthy of their illustrious name? Unfortunately not, as most listeners will realise when they note that the first song is merely a re-recording of an old Calvert era track which was perfectly good in its original incarnation. And the new compositions are just outright tedious. I really should give up and turn my attention to more recent studio outings by Hawkwind, since I hear that from Blood of the Earth onwards they've done a bang-up job of making their studio albums more consistent, but as far as the mid-2000s go their live albums from the era are far better than their studio efforts. 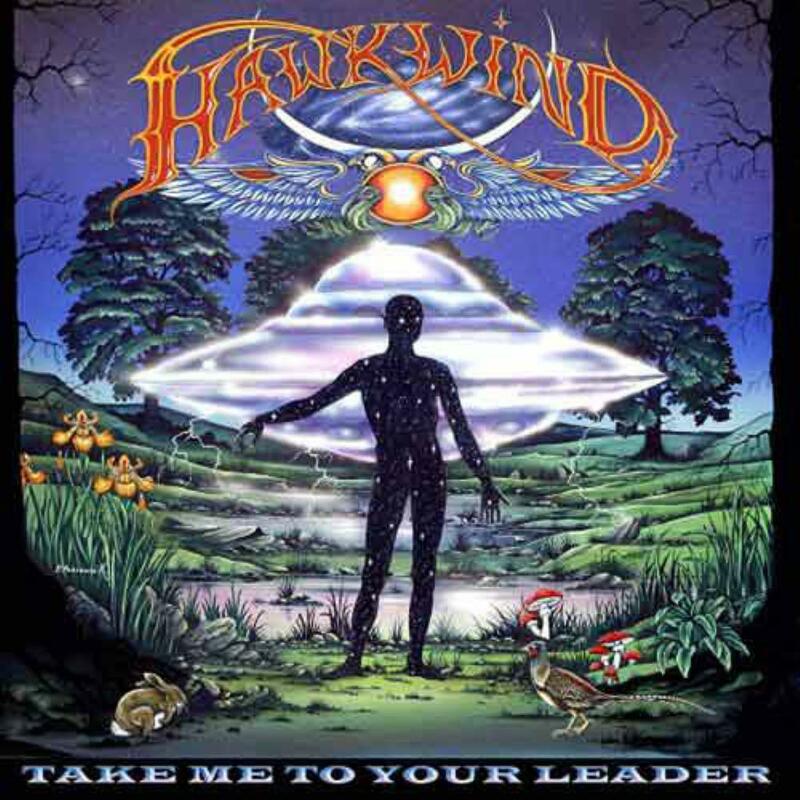 Post a review of HAWKWIND "Take Me To Your Leader"